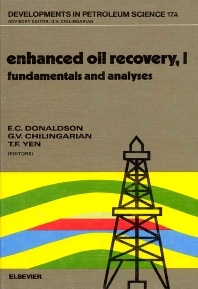 Fundamentals of Enhanced Oil Recovery contains a depth study of the fundamental aspects of enhanced oil recovery (EOR), this book brings together detailed analyses of modern techniques of enhanced oil recovery. It begins with the current theories of the origin of oil and ends with a treatise on water flooding which is the basis of the majority of EOR processes. The book gives a complete review and theoretical analysis of two and three phase fluid flow, plus a basic introduction to single-well pressure transient testing which is essential to the evaluation of volume in EOR. You will find all important topics including, intrinsic reservoir pressure, reservoir discontinuities, in situ permeability and many other data required for complete reservoir evaluation. This book is one of best reference to basic requirements for implementation of various EOR processes. Petroleum engineering researchers can use it to review the current state-of-the-art of the basics of EOR and find in it the necessary background analyses for projection of future research. Follow the main features and table of contents of Fundamentals of Enhanced Oil Recovery pdf book given below. Fundamentals of Enhanced Oil Recovery PDF Features. This is one of the most recommended and demanded books to study this subject. 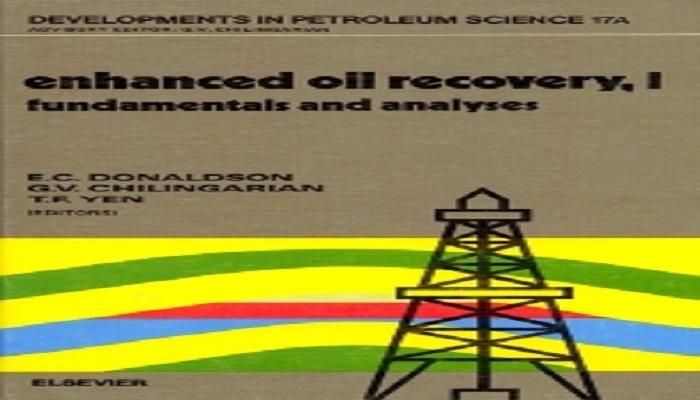 All the fundamental concepts of enhanced oil recovery are presented in this book. All the topics are explained along with the good details. Every topic is explained with diagrams, examples, and tables. This book is available both in hard and PDF Formats. Chapter No2: Origin, Composition, and Properties of Petroleum. Chapter No3: Fundamentals of Enhanced Recovery. Chapter No5: Flow Tests’ Analyses: Liquid Case. Chapter No6: Enhanced Oil Recovery Injection Waters. Chapter No7: Some Chemical and Physical Problems in Enhanced Oil Recovery Operations.